← Could CPR resuscitate our political system (Corporate Political Responsibility that is)? It’s funny how not-for-profit is more efficient than for profit where there’s masses of opportunities to rip people off? Who’da thunk? The Industry Funds were dragged into the Royal Commission in line with the well established principle of public administration: Never let a good deed go unpunished. The current round of hearings at the royal commission into misconduct in the banking, superannuation and financial services industry has been notable on many levels. 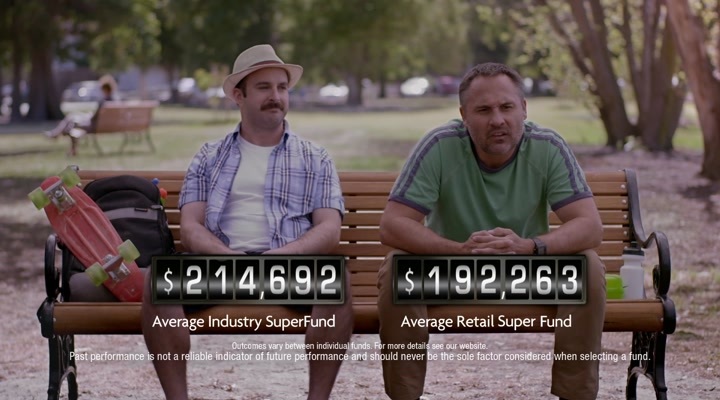 Thus far, the much anticipated grilling of the industry super funds has been a fizzer for their critics. Ian Silk, who has been chief executive officer of the largest industry fund, the A$140 billion AusSuper, since 2006, was unruffled in his time in the witness box, in stark contrast to the caning given to NAB’s super fund trustees who preceded him. Likewise, for David Elia, the CEO of hospitality and tourism industry fund Hostplus, a position he has held since 2003. He said that as of July this year, Hostplus had $34.5 billion funds under management on behalf of just over 1.1 million members, many of them very young, in part-time entry level casual employment. Elia took the first opportunity he was given to remind the commission how, despite needing to consider the cohort of disengaged youngsters whose money his fund was managing, it has nevertheless thrived, with the Hostplus MySuper product ranked as the best performing fund, net of investment fees and tax over one, three, five, seven, 15 and 20 years. Unlike their for-profit counterparts, two of the country’s largest and most influential super funds were represented by their chief executives, both of whom could claim long-term outperformance over their tenures. Neither of them obfuscated or tried to hide behind weasel words. And they couldn’t – and didn’t – trot out the excuse so often used by their banking counterparts that they weren’t in the job at the time, or weren’t told anything, when (insert allegation of poor behaviour or regulatory breach here) occurred. On the evidence so far, the industry funds’ CEOs have not left themselves open to the same allegations of bad behaviour and putting their members last that have so damaged the rest of the financial services sector. Their banking CEO counterparts will soon get their respective days in the spotlight. The excellent, but paywalled original is here. It’s one of those basic economic illiterate truisms IMO: profit-driven funds split the return on investment between the shareholders and the people who provide the funds, industry funds give all the income to their people. It’s just obvious, my gut says so, that when you split the return with the shareholders you get less. Well dur Fred. What we need is some whizz-bang econoboffin badger to show us that even after the profit has been skimmed off there’s more left for the fund-providers because of incentives or something. Like the incentive of not having a lamp-post with your name on it come the revolution encourages the industry fund managers to consider the longer term. “longer term” in todays market theory being “more than 3 months”… but soon it will be “longer than one second” just as soon as the high speed trading kiddies manage to securitise, commoditise and tradefuscate everything. Ooops, there’s a haitch in Nicholas, sorry. Yes, limiting trading seems like it could generate more benefits than costs in lots of circumstances. One thought I have is to open the markets for a week or so every quarter and leave them closed the rest of the time. That way you can try to get all information out before they open – reducing insider trading. But it’s difficult to know the relative costs and benefits. might the reason be the retail funds knew they were for it so the CEOs sent in lessers but the Industry funds knew just the opposite so the CEOs turned up. Indeed, and a single fund that accumulated ALL those compulsory savings would have almost negligible management fees and, because of the massive pooling, would certainly get a better risk/return ratio. We could pay from that fund a defined benefit pension – a life annuity with a reversionary survivor pension – proportionate to peoples’ contributions (perhaps with some floors and caps to make the whole thing weakly progressive). Think how much simpler, fairer and more efficient that would be. Oh wait – didn’t Otto Bismarck think of this idea first? Was this a option that was considered when the system was first designed? No. It’s called “social security” and is the way many developed countries – including the US – fund retirement. Otto von Bismarck created the first such scheme in the 1880s. “recommended that the Government convene a national conference on superannuation involving all relevant parties to consider issues such as non-compliance; the extension of award superannuation to all awards, including state awards; building more flexibility into award-based superannuation; the extension of superannuation to casual and part-time employees; and the role of the Commission in the long-term agenda for ensuring appropriate retirement incomes. In 2021 the thirty years will be up could be interesting to read the cabinet papers re the reasons why the government at the time chose not to act on the Commissions recommendations . I was on the inside (albeit as a junior person) of these arguments in 1991. My indiscreet description (note I’ve not changed :-) ) of the government’s proposal as “founded on a series of outright economic fallacies and innately regressive” actually cost me a promotion opportunity, so naturally I’m not an objective observer here. But suffice it to say that the prospect of jobs for union bureaucrats as fund trustees was not totally absent from some players’ minds. That and a really stupid “private=good public=bad” mindset in the Treasury of the time. It was a bizarre alliance between economic ignoramuses who believed the policy was completely costless because “the boss will pay it all anyway” and self-styled economic rationalists who were not economic rationalists at all. is this a fair summary of the history? In particular is this section basically correct? The Whitlam Government, after coming to power in 1972, argued the case for a national contributory earnings-related superannuation scheme as a way to improve equity and broaden superannuation coverage. The following year, the National Superannuation Committee of Inquiry was established by the Government under the Chairmanship of Keith Hancock. The Committee’s final report, handed down in 1976 after the election of the Fraser Government, contained both a majority recommendation, supported by Hancock and Richard McCrossin, and a minority recommendation, supported by Kenneth Hedley. The majority scheme was a partially contributory, universal pension system with an earnings-related supplement that would raise pension rates to a minimum of 30 per cent of average weekly earnings. Kenneth Hedley advocated a broadening of existing arrangements through a scheme encompassing a non-contributory flat rate universal pension, a means tested supplement and greater encouragement of voluntary savings through an expansion of occupational superannuation (National Superannuation Committee of Inquiry, 1976). The majority findings of the Hancock Report ultimately were rejected in 1979 by the Fraser Government, primarily on the grounds that such a scheme would place too great a burden of contributions on low to middle income earners (Social Welfare Policy Secretariat, 1983, p 16). It is notable that the most enduring legacy of the Hancock Report is the closer resemblance of present day retirement income arrangements to the scheme advocated by Hedley. The work of the Hancock Committee led to other suggestions for reform of the age pension, most prominently from the Life Insurance Federation of Australia (1981, revised in 1983) and in 1982 from Labor Party MP Chris Hurford. Both of these proposals adopted, in broad terms, the features of the Hedley scheme. The significance of all of these proposals for reform was the shift in emphasis for retirement income policy away from poverty alleviation through the minimalist age pension towards income maintenance through contributory superannuation. BTW Is that the same K W Hancock ; one of the founding fathers of Environmental History ? Casey’s introduction to the second reading of the NATIONAL HEALTH AND PENSIONS INSURANCE BILL 1938 is an interesting read. Following the example of practically every country in the world where a national insurance scheme exists, this scheme is on a contributory and compulsory basis. Twelve years ago the International Labour Office of Geneva, reporting on sickness insurance, stated that the replies of all governments indicated that the only effective basis for ensuring the protection of the workers is on the principle of compulsory and contributory insurance. A voluntary health and pensions scheme which might only attract the inferior lives, the married, and the elderly, would speedily become insolvent, unless the contributions wore at a figure which would be bound to prove prohibitive. The scheme at the outset is limited to the employed population, as experience has shown that the only practicable method of collecting contributions is by periodical payments related to the payment of wages. In 1909-10 the cost of aged and invalid pensions was 1.433 million pounds, by 1929-30 it had risen to 10.791 pounds. These figures speak for themselves, and we must face the fact that the cost of these pensions will continue to rise, year after year, for the next 50 years. It is estimated by the actuaries that, 40 years from now, the annual expenditure on invalid and old-age pensions will exceed £32,000,000. It may be asked why these large increased costs in respect of pensions are anticipated. The answer is to be found in the vital statistics of Australia, and especially in those disclosed by the results of the recent census. The percentage of the population aged over 65 had risen from 2.5% to 6.5%. This bill is no “money-saving” device. The cost to the Commonwealth, including the contributions to the insurance scheme and the cost under the present act, will, for many years, be higher than the high and mounting cost of the system of invalid . and old-age pensions, as at present existing. The National Health and Insurance Bill 1938 was passed, but the scheme was not enacted. It may be that “later stage” never arrived? BTW am surprised that there is very little in the way of published histories of our super and pensions systems evolution. Herscovitch, Andrew and Stanton, David. History of Social Security in Australia [online]. Family Matters, No. 80, 2008: 51-60. Availability: ISSN: 1030-2646. [cited 26 Aug 18]. derrida derider on A dash for the deserts? What the solar revolution could lead to. rog on A dash for the deserts? What the solar revolution could lead to.